A strange conversion that just happened. The main body and right arm is my own Runic Miniatures Lisa-model. 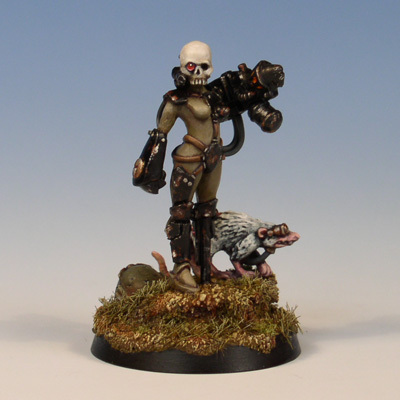 Lisa was jazzed up with the GW skull, the flamer, a scratch-built peg leg, and a lot cables.